This is a simple Greek style spinach rice.Apart from the obvious spinach the dish makes use of other herbs like parsley and dill and there are several versions as usual some with tomatoes or tomatopuree which adds tangy flavour to the already hearty dish.I have used a non tomatoey and easy to make version which I prepared from Kevin's Spanakorizo. Heat oil in a pan.Add chopped onion and saute till it turns transluscent.Add garlic chopped and saute for another minute.Add roughly chopped spinached and saute till it wilts and releases water.Add stock/water ,rice ,dill,parsley,salt and pepper and mix well and bring to a boil.Reduce and let it simmer on low fire till rice is done.Adjust salt and pepper and serve in bowls,garnished with lemon juice and optionally topped with crumbled feta. Brown rice takes about 50 minutes or more than white rice.I used long grain basmati rice and found it perfect for this preparation.The rice is very hearty and comforting .I enjoyed it as such and also with little feta.My clicks are not that great but do check Kevins recipe for excellent clicks. 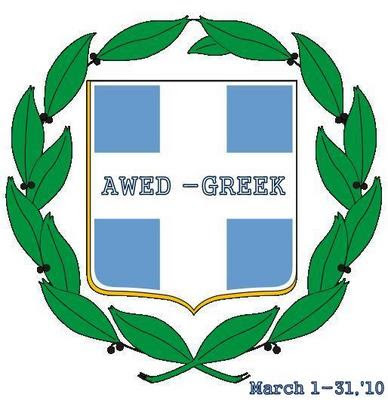 This is my second entry to AWED:GREEK an event by DK of ChefInYou and currently hosted by YoursTruly. Do send vegetarian/vegan Greek dishes to AWED:GREEK till 31st March 2010. Greek spinach rice sounds simple and delightful, loved the flavors used here ! event.Your greek spinach rice looks good.Thanks for sharing this recipe.Book marked it. That is an healthy choice! This does look healthy and wonderful. Oh this is so cool! 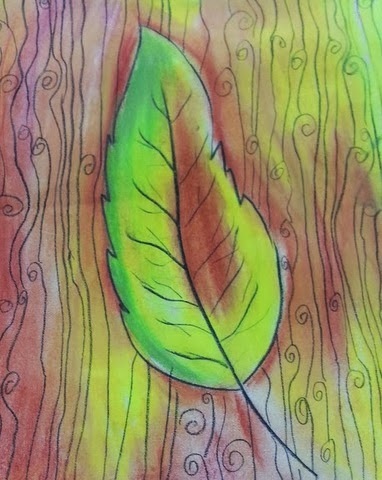 I am making this:) BTW did I send you an email with the event entry? Something tells me I did not!!! Spinach in a rice...sounds healthy. Thank you, as always, for visiting! sounds like a wonderfully healthy, easy and delicious dish. Healthy and delicious rice! You have a great collection of recipes from around the world. Thnaks for sharing all of them..